As 2016 winds down, it’s time to look back at some of the hottest issues of the year, as well as where the issues currently stand. Language providing H-2B relief was included in the federal fiscal year 2015-2016 omnibus spending bill. President Obama signed that bill into law on Dec. 18, 2015. What that means: Through Sept. 30, 2016, the bill exempted H-2B returning workers from the 66,000 annual cap, among other measures. Landscape industry members and other advocates of the H-2B guest-worker program gathered in Washington D.C. May 18 to advocate for the program and, in particular, its returning-worker exemption. Before the current Congressional session was about to close at the end of this year, H-2B advocates made one last push to extend at least the returning-worker exemption for another year, but Congress allowed it to expire. Permanent reforms are out of the question this late in the session. Back in October of 2015, Montgomery County, Md., became the first major locality in the U.S. to ban the use of cosmetic pesticides on private lawns. The ban goes into effect in 2018. Sarah Laborde, grassroots manager for RISE, talks about the pesticide ordinance passed by Montgomery County. Learn how this bill could potentially affect other municipalities across the U.S. The complaint, filed in the Circuit Court for Montgomery County, asks the court to declare that the law is illegal as preempted by state law, since Maryland law already regulates the registration, sale and use of pesticides across the state. Despite the predictions of pollsters and pundits to the contrary, Donald Trump upset Hillary Clinton in the presidential election. Not only did Trump win the presidency, but the Republicans held majorities in both the U.S. House of Representatives and Senate. This gives Trump the possibility of having his legislative agenda passed through Congress by friendly majorities. The only hang-up is the majority in the Senate is less than the 60 Republicans needed to make the Senate filibuster-proof, so some negotiation and compromise with Senate Democrats may be necessary. 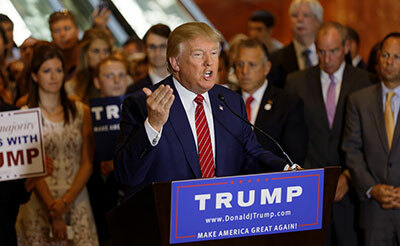 Here’s a look at several areas where Trump’s policy pronouncements during the campaign, if implemented, might affect your business. For months, workers and business owners discussed the impending implementation of the Department of Labor’s Overtime Rule. The rule, which would make millions of workers eligible for overtime pay, stated anyone making less than $47,476 per year must receive time-and-a-half pay for hours worked beyond 40 hours per week. The rule was on the forefront of everyone’s mind until Nov. 22 when a federal judge in Texas issued a preliminary injunction blocking the rule. Now the rule sits in limbo. 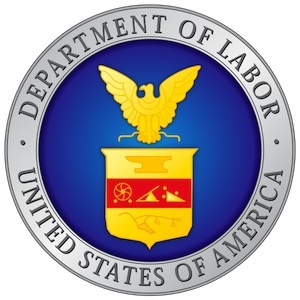 On Dec. 1, the day the rule was set to take effect before the injunction, the Department of Labor and its co-defendants filed a notice of appeal at the U.S. District Court for the Eastern District of Texas. The House voted Jan. 13 to overturn the EPA’s Clean Water Rule, which would protect certain waterways under federal regulation. Then, President Obama vetoed that resolution, stating that the rule is necessary to protect from pollution the rivers, streams, lakes and reservoirs that Americans depend on for drinking water, recreation and economic development.